Pulse Arts CIC is recruiting a new musician to join the team for an initial year-long placement as a Music in Healthcare Trainee. The role would suit a musician who is interested in making Music in Healthcare with Pulse Arts a long-term part of their freelance portfolio. Working on children’s wards at Broomfield Hospital, Chelmsford, the new trainee will be making music alongside Pulse Arts musicians with patients, family members and hospital staff. They will receive training and mentoring in Music in Heath Practice, attend programme development days in central London, receive professional supervision sessions and attend the National Alliance of Musicians in Healthcare (NAMIH) Conference in Brighton in July 2019. Subject to the successful completion of the programme, the trainee will be invited to become a full member of the team, continuing to work at Broomfield Hospital and potentially expanding to care of dementia wards and other settings. For more information and to apply, please click for the Job Description and Application Form. The deadline for submitting applications is 5pm on the 9th November 2018. Shortlisted candidates will be notified and invited to an interview and audition on 29th November 2018 between 9.00 and 5pm at the Centre for Supporting Voluntary Action, Burgess Well House, Coval Lane, Chelmsford, CM1 1FW. As part of our long term projects at Evelina London (Lambeth) and Broomfield Hospital (Chelmsford) we are offering opportunities for musicians in London and East Anglia to come and shadow our work on hospital children's wards. We hope to attract musicians who are interested in Music In Healthcare practice and developing their own work in this area. Following a half day shadowing we will talk over lunch about your interests and aims, discussing potential progression routes, offer help with signposting, all with a view to setting short and long term goals around your professional development. The deadline for applications is the 8th December 2017. We have 4 places available. The shadowing dates will be agreed mutually and take place in the spring/summer terms. APPLICATIONS ARE NOW CLOSED. THANK YOU FOR YOUR INTEREST! We are excited to announce a new project, supported by the Sound Connections Innovate Fund. Innovate exists to develop and support emerging practitioners and small organisations to realise new ideas and approaches to working with children and young people. The fund is supporting us to explore work with Richard House Childrens Hospice in 2018. 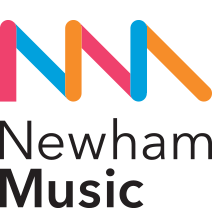 We will be starting the project, delivering practice at their centre in Newham and exploring the potential for music being part of their outreach service. We will also be exploring the potential for including music technology in our work, working with iPads and music technology apps; helping us to deliver improve our practice for patients with limited mobility. Thank you to Sound Connections, Richards House Hospice, Newham Music and Youth Music for supporting this project. We are pleased to announce the start of a new Youth Music supported project, split between Evelina London and Broomfield Hospital Chelmsford. The project will see us deliver 60 days of delivery between September and July, as well as undertaking crucial skills development for our musicians. At Broomfield Hospital we will be working across Phoenix, Wizard, Childrens A&E, Children's Outpatients and Children's Burns. At Evelina London we will be working on Savannah, Mountain, Snow Leopard, Paediatric Dentistry and their PICU. Alongside continuing our work on these wards we will be trialling work in the hospital's Neo-Natal Intensive Care Units, with a view to expanding our work into this area. We are hugely grateful to our supporters across these projects: Youth Music, Essex Music Education Hub, Friends Of Broomfield Hospital and Breathe AHR. Thank You. We are delighted to share our new film, made in partnership with GOSH Arts at Great Ormond St Hospital. The film was made over a period of 3 months in 2016, and documents our ongoing work at the hospital. We are grateful to both GOSH Arts and Arts Council England for giving us a fantastic platform to develop our practice. A huge thanks to all the patients and staff featured in the film. Happy New Year from Pulse Arts CIC! We've had a fantastic 2016, delivering over a hundred sessions in hospitals in London and Essex, having our work featured in national and local press and expanding to 3 regular delivery programmes. Thank you to every patient, family member and staff member that has played music with us this year! A huge thank you also to our partners and supporters who make this work possible. We move into 2017 with continued sessions at Great Ormond St, Evelina London and Broomfield Hospitals and exciting developing partnerships with new musicians and arts organisations in London and beyond! Happy New Year from everybody at Pulse Arts CIC! Early Years Music in Hospitals: A visit to Great Ormond Street Hospital by Linda Bance. We were joined by Specialist in Early Years Music Education, Linda Bance for an afternoon at Great Ormond Street Hospital. Linda is mentoring us as part of the LEYMN Early Years Apprenticeship with Sound Connections. This is proving a great opportunity to develop our work with this age group. We have already discovered so many great songs, methods and ideas that we can adapt to our work making music on hospital wards. Here is Linda's blog on her observations. Thanks Linda for your thoughtful insights on working with young children and babies, your encouragement and your positivity! My visit to GOSH with David and Joe. I made a visit to observe Pulse Arts at work with the patients of Great Ormond Street Hospital. Upon my arrival, I was met by David and Joe. Once we had cleaned the instruments we made our way on to the many wards that make up the children’s hospital. I know from experience that it is not easy to just turn up as the music person and play music. You are never sure about the response you will get. David and Joe were very aware of this and thought deeply about their approach before each visit. We met enthusiastic children and parents who wanted to know about the music. They benefited from the beautiful songs that were sung. They joined in singing and improvised on both tuned and untuned percussion. The response from parents, staff and children was positive and heartening. Songs were sung in many languages, styles and each seemed to match the situation perfectly. The highlight of the afternoon for me was when David suggested that we go to a ward where he could hear crying. We arrived to find a small child of about 4 years old very poorly. The mood in the room was fraught. Father stroking the child’s legs frantically while the mother strokes the child’s head trying to stop the crying. They looked so worried. It was surely a normal thing that the parents just wanted their children to feel better. David and Joe stood on the edge of this scene. They began to play quietly, rhythmically and sensitively. To begin with it seemed wrong to be contributing to the noise and stress of the moment but then something magical happened. The father and mother both began to calm their stroking to match the pulse of the music. Things calmed, the little one stopped crying and the staff came to monitor the situation. I was overwhelmed by this scene. Could music really have done this? It allowed the parents almost subconsciously to use the movement of the music to aid the situation. They were smiling again. What a wonderful afternoon I had shadowing these two sensitive and expert musicians. It is worth saying that the work associated with music in the early years is most appropriate in this setting, they are certainly working with families living with challenging circumstances. This work is crucial to wellbeing and I am hopeful that they will be able to make a presentation of their work at the LEYMN Conference on March 6th. Special thanks goes to Caroline Moore at GOSH Arts for ensuring Linda could join us on wards and for hosting Linda so well on the day. We are thrilled to announce a new 30 week Music In Health project at Evelina London in partnership with Breathe AHR. This project will see us take interactive Music In Health Practice into the hospital once a week until July 2017 and is the outcome of a thriving organisational partnership between Breathe AHR and Pulse Arts. Pulse Arts CIC and Breathe AHR are grateful to Children In Need for supporting this project making a positive impact on the experience of young people receiving short and long term healthcare at Evelina London (Guys and St Thomas NHS Foundation Trust). We are looking for a new musician with experience in Music In Health Practice to join our small and dedicated team. They will deliver at our partner hospitals: Evelina London and Broomfield Hospital, Chelmsford. Working alongside Pulse Arts musicians, you will make music on children’s and adult wards, including specialist dementia, burns and intensive care units. The delivery will be on regular days each week, but in rotation with other practitioners, averaging between 1.5 - 2.5 days per week. Repertoire and programme development days will help integrate you into our team, alongside CPD opportunities geared towards your own professional development as a Music in Health Practitioner. Alongside the delivery of practice, we expect the successful applicant to be motivated to continue and further our programmes of work by being involved in planning and development meetings and contributing to fundraising campaigns. Pulse Arts is passionate about advocating for the value of Music In Health Practice locally and nationally. As well as being a fantastic and sensitive musician, you will have a desire to further the field of Music in Health and expand the ever growing Music In Health network. For more information and to apply, please click for the full Job Description and Application Form. The deadline for applications is noon on 10th October. Shortlisted candidates will be notified and invited to an interview and audition on Tuesday 1st or Thursday 3rd November.